There are many convenient ways that you can impact the lives of poor and needy people served by the Missionary Oblates. 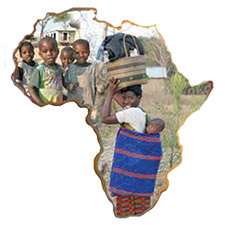 Your contribution will be used where it is needed most to serve our less fortunate brothers and sisters. You may also choose one of the below programs to focus your contribution to a particular ministry. Your gift will be used to bring healing and hope to poor and needy people being served by the Missionary Oblates around the world. 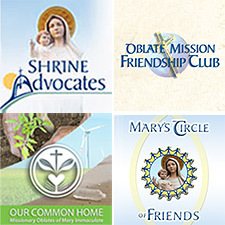 Join a Club – As a club member, your recurring gift can support Oblate ministries that focus on areas such as: international missions, spiritual ministries, environmental issues and the National Shrine of Our Lady of the Snows. Support Zambia – Oblate vocations in Zambia are flourishing. The Oblates have an extensive network of parish and community improvement ministries in the country. 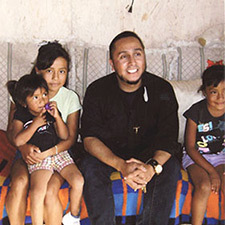 Support Tijuana, BC Mexico – This mission in Tijuana serves the very poor, both their spiritual and physical needs. 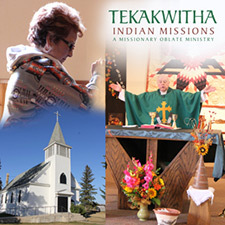 Tekakwitha Indian Missions – The Missionary Oblates minister to Native Americans on the White Earth Reservation in northern Minnesota. Support Elder and Infirmed Oblates – These men have spent most of their lives serving the less fortunate. Today, they must rely on the generosity of others during their retirement years. Planned and Charitable Giving – Benefactors can help support the work of the Oblates in a variety of ways through their estate planning.